Last winter I fell in love. From the outset I didn't find him attractive. When my friend in college touted his undying protection and faithfulness, I grimaced. When the nation was swept off its feet and he was a flash in the pan for many a mini-skirted celebrity, I swore I'd never. Then last Thanksgiving I was with a friend who had fallen victim to his warm heart, and... I fell, too. I borrowed her pink Uggs for a day to see what the big deal was and was a goner within minutes. My feet were warm! Because me feet were warm and cozy, so was the rest of me! It was like wearing publicly acceptable slippers all the time! Christmas came and went, and he did not grace my closet. Valentine's Day, Mother's Day, Anniversary, Birthday... nothing. Alas, my husband did not share my love! But a girl can always count on Costco, can't she? 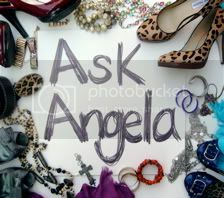 Another loving friend (Angela K! Get online so I can link you, darn it!) gave me some cold, hard cash for my birthday, and since no one else would do the deed... I did! I have to tell you, this could be one of the best purchases I've ever made. If you're not a believer, than you're missing out. Nate still calls them Ugg-lies, and I understand why. But they have quickly become my go-to pair with jeans tucked in... even sometimes with *gasp* shorts. I love them, love them, love them!!! Now, these aren't real Uggs. Those are a pretty penny that cannot be allocated to such things at this time. These are the lovely Kirkland Signature knock-offs... and I couldn't be happier. All the warmth with none of the "Ah! My expensive boots!" stress. And, for those who are wondering, Costco has them in two other colors. I'll take the Chocolate Brown, thank you very much... along with the cinnamon brown, just for posterity's sake. Since these were a staple in this state long before they swept the rest of the nation, maybe I really am turning into a California girl. "I wish they all could be..."
I've been wearing mine all day, baby it's cold outside! If only I could be blessed with a pair...how nice life would be. TJ Maxx has thr real "Uggs" for $60 (short) or $80 (tall)..but they NEVER have my size when I have the money. I am with Nate on this: Ugg-ly! I think once I slipped my feet in Crayl's and saw what everyone loved so much about them. I wonder if I owned any if I would get used to them? Might not be a bad thing to add to the Christmas List. After all, it's Costco-I can always return them! If you still want to play the Pay it forward game, let me know! I'm just finally getting back to everyone & would love to include you. There's a note about it on my blog today. I love my Ugg-lies too. I gave in and put my flip flops away for the season. My little toes couldn't take it anymore.